Give the gift of comfort this holiday. 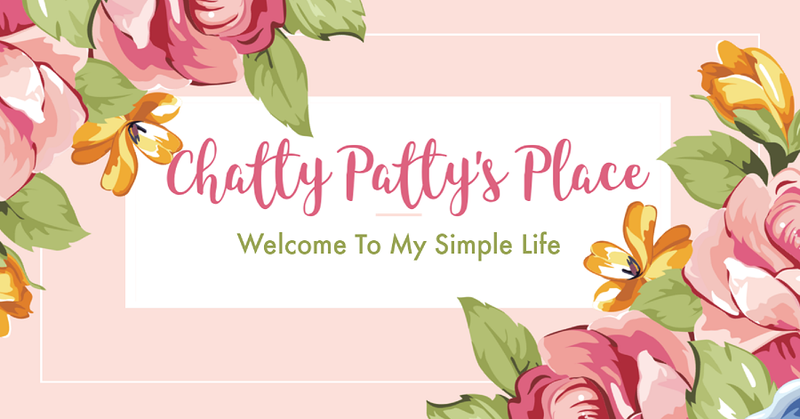 Who doesn't like to be pampered ? I know I do. 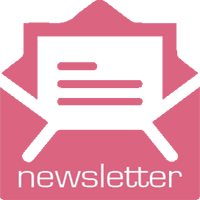 This holiday, instead of giving the usual sweater or gift card, give the gift of affordable comfort and relaxation . These beautiful sheets are available in a rainbow of colors and cost UNDER $40! 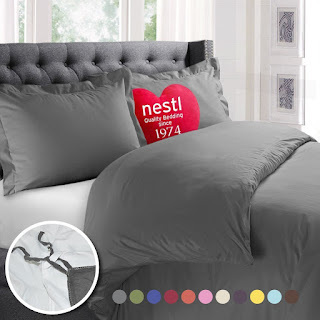 Nestl bedding duvet cover. Protects and covers your comforter/duvet insert. Luxury 100% Super Soft Microfiber, All Sizes available. 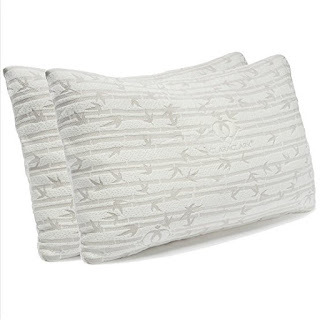 (3 piece set includes 2 pillow shams. Many colors available. Pleated Bed-Skirt (All Sizes) Luxury Double Brushed 100% Microfiber Dust Ruffle, 14" Tailored Drop, Cover Bed Legs and Frame. By Nestl Bedding. Beautiful hotel quality sheets. (All sizes and various colors available) Premium 4 piece bed set. 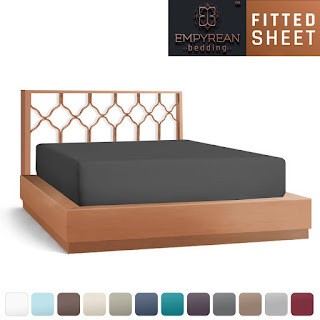 Extra Deep Pocket, Special Super Fit Fitted Sheet. 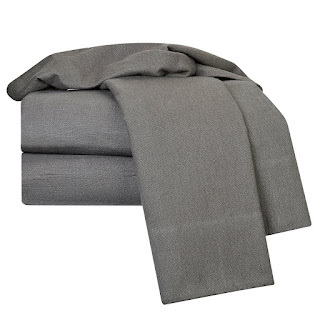 Best Quality Hypoallergenic Microfiber Linen and Durable Design. Includes Better Sleep Guide. 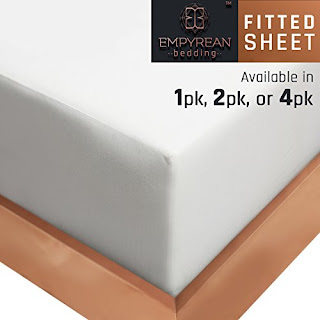 Premium Fitted King Sheets (other sizes available) Luxurious and Soft Linen Fitted Sheets, Hypoallergenic with extra deep pocket and Super Fit Fitted Sheet with Smart Corner Straps. 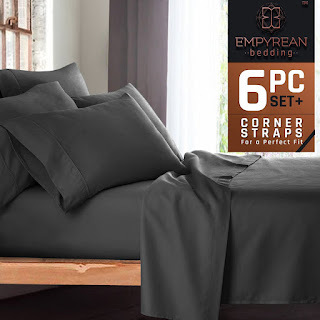 Premium 6 Piece Bed Sheet and Pillow Case Set, Luxurious Linen, Extra Deep Pocket, Super Fit Fitted Gray Sheets, BONUS 2 Pillowcases and Better Sleep Guide. Available in All sizes and many colors. 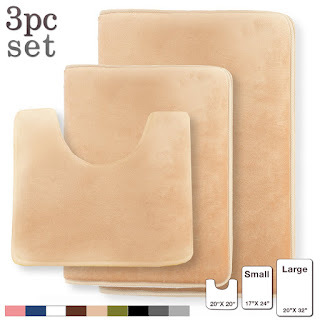 Memory Foam Bath Rug Set. Includes Shower Rug Large 20" x 32" , Small 17" x 24" Contour 24" x 19", Non Slip Latex Free Plush Microfiber. Beautifully made with Maximum Absorbency. Faux fir sheepskin rug. 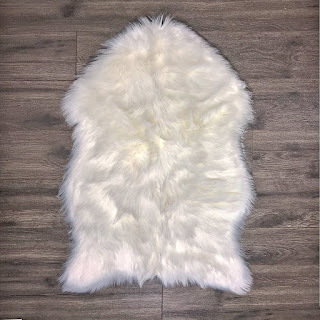 Beautiful white, furry rug for vanity seat chairs cover, as a shaggy area luxury home throw plush seat pad, bedrooms, powder room., vanity area, kids room, living room, etc. Faux Australian Rug. Measures 2ft x 3ft. Available in King and Standard. Many colors available. 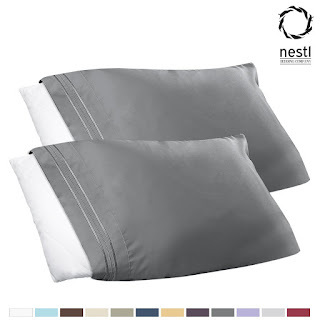 Nestl Bedding Premier 1800 Pillowcase - 100% Luxury Soft Microfiber Pillow Case Sleep Covers- Hypoallergenic Sleeping Encasements - Set of 2. 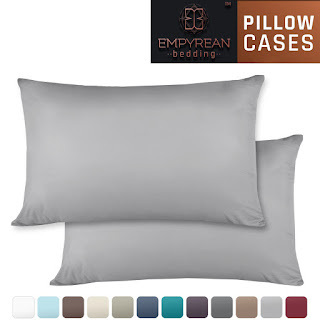 Set of 2 Premium Standard-Size Pillowcases- Superior Quality Microfiber Linen, Hypoallergenic and Breathable Design. Soft and Comfortable Hotel Luxury. Available in various colors. Standard and King. Nestl Bedding 100% Cotton Flannel Pillowcases - Available in Standard/Queen and King. Various colors available. Maximum Softness- Elegant Double Stitched Tailoring- Reduces Allergies and Respiratory Irritation. 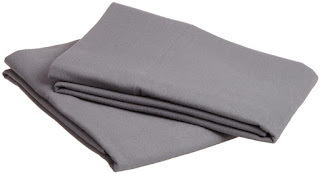 Heavyweight 100% Cotton Flannel Sheet Set, (All sizes and various colors available). Luxurious Soft Hypoallergenic and Very Silky Bedding Fabric. 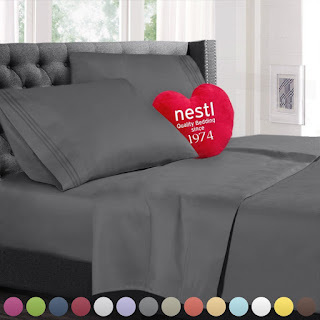 Enjoy a Comfortable Night Sleeping Experience, by Nestl Bedding. (Available in White only) Linen Fitted Sheets. 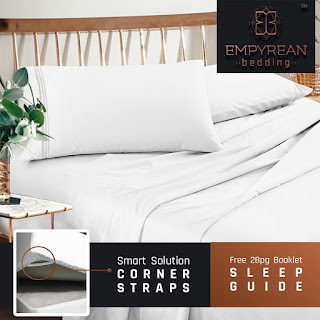 Wholesale Pack of 2- The only Extra Deep Pocket Super Tight Fit Fitted Sheets with Smart Corner Straps. 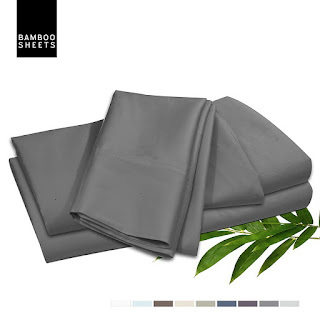 Bamboo Bed Sheet Set. Made from 100% Rayon Bamboo Cotton. Luxury Super Silky Soft. 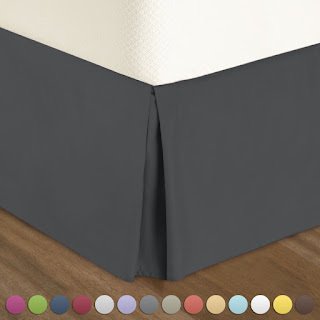 Extra Thick Corner Elastic Straps on Fitted Sheet. Includes Flat Sheet and Pillowcases as well. Machine Washable.